Microsoft is keeping its software as clean and functional as possible with lots of updates that bring improvements and new features. 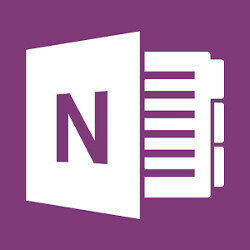 The latest application that received the update treatment is OneNote for Android devices. The Android application has just received a new release, one that adds a few new features that will most certainly please lot of users. The highlight of the update could be very well be the ability to open password-protected sections, as Microsoft mentions in the official changelog. But that's not the only important change added in the new update. Microsoft's OneNote for Android now features support for auto-correct enables for Google keyboard. Furthermore, support for inserting and viewing embedded files has been implemented too. Last but not least, the developers announced users can now record notes while on the move thanks to the newly added support for audio recording. If you haven't yet used Microsoft's OneNote for Android, then you should know a couple of things. First of all, you will need a free Microsoft account in order to use OneNote. The application can only open existing notebooks created in Microsoft OneNote 2010 format or later, so anything older than that can't be read with the Android application. Keep in mind that while the application is available for free, it requires Android 4.1 or later, so make sure your device is running a compatible version of the OS.